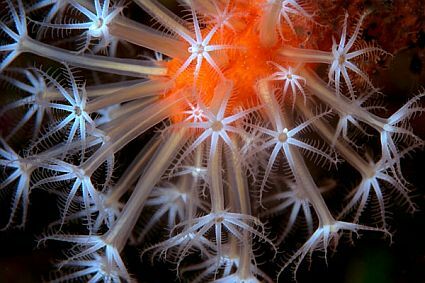 Deep under the ocean the species are in serious danger from the world’s most destructive fishing practice known as bottom trawling and this destruction should be stopped before it is too late. There are many countries that subside their trawlers. A group of leading internantional scientists claims that fuel subsidies allowing fishing fleets to plunder the deep seas should be scrapped. According to them more than $150(£80m) was paid to trawler fleets, promoting over fishing of unviable resources. There are more maps of the moon than of the Earth’s sea bed, and recently we have got to know about the rich and complex world of the deep ocean, but there is underwater that could disappear before we even explore it. Most deep-sea fishing occurs on the high seas far from the watchful eyes of regulatory agencies and its impacts on species and ecosystems is generally neither monitored nor controlled. Deep-water trawlers or draggers account for about 80% of the bottom fishing catch from the high seas. The trawlers target fish such as orange roughy and grenadiers for food, and sharks for the cosmetic industry. These fish are generally long-lived, slow growing and late maturing so their populations take decades, even centuries to recover. 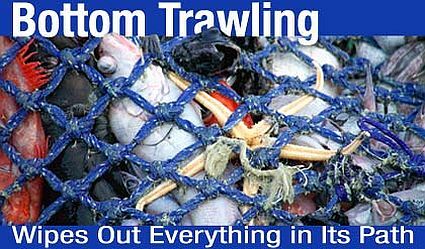 2006 UN talks failed to implement a ban on the bottom trawling. Various arguments regarding ban on bottom trawling have taken place between conservation groups and the government of the countries such as Neitherlands and Norway but with no positive results. The scientists, assembled in San Francisco for the American Association for the Advancement of Science (AAAS) annual meeting, believe subsides need to be scrapped. From an economic perspective, deep-sea fisheries cannot occur without government subsidies. The bottom line is that current deep fisheries are not sustainable. All evidence indicates that deep water life forms are very slow to recover from such damage, taking decades to hundreds of years – if they recover at all.